If you have healthy but unattractive teeth, a complete smile makeover could be just what you need to dramatically increase your self-confidence. It is a huge and dynamic change, though, so you must sit down with your trusted cosmetic dentist to design and plan every detail of your new smile. Here are 3 considerations for a complete smile makeover. You might have been dreaming of the “perfect smile,” but teeth that are too white, too straight, and too perfect can give you a fake “game show host” look. 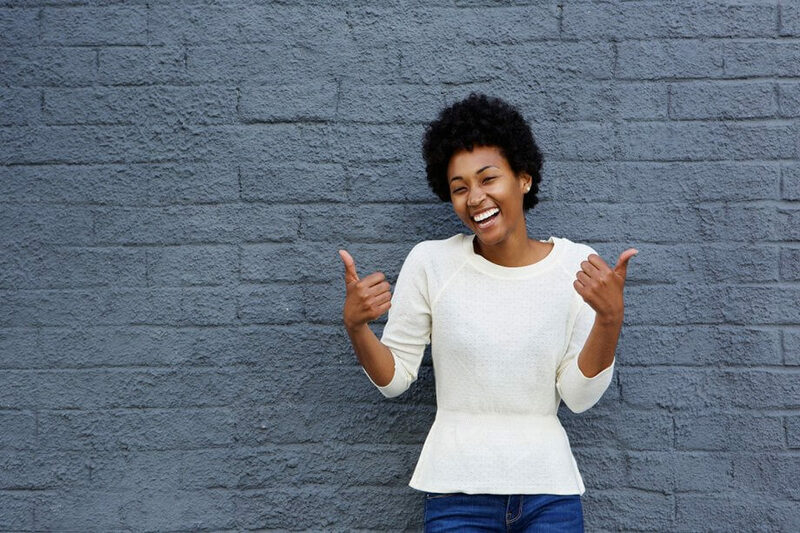 If you are positive that is the smile you want, be prepared for the possibility that you may need facial plastic surgery to support your new smile. Most people actually prefer the best “natural smile” they can obtain. This smile is whiter, straighter, and more perfect that your existing smile, but it matches your facial features. It is stunning, but it looks like it is uniquely yours. We will work hand in hand with you to design the shape, size, and color of each tooth, taking into account the problems you want to address, your features, your skin tone, the shape of your face, and the current spacing and alignment of your teeth. If you have gum disease, tooth decay, or other oral health issues, we must fix those issues before your smile makeover begins. The best design starts with a bit of inspiration. We encourage you to bring in photos of your childhood smile, as well as various smiles that you admire. Be prepared to note what you like and do not like about each photo. Also consider different smile quirks that you might like, such as a small gap between the front teeth or slightly pointy canine teeth. When we have a good idea of what you are searching for, we will take digital photos and impressions to create a 3-D digital model of your current smile. We will then morph it into your projected new smile, and tweak it until you are completely satisfied. The next step is to create a wax mockup of your new smile. This lets us be sure that it is as functional as it is beautiful. We will not start working on your teeth until we are all fully happy with the wax model. Please note that a complete smile makeover is a huge investment. Depending on your existing smile and the results you are looking for, we might need to perform several different procedures with healing time in between. It could take a year or more to get you to your finished smile. If you are dreaming of radically changing your smile, though, you will likely find the makeover worth the wait.